Please don't forget to read the rules before posting! We’ve all had that lucky (or unlucky) d20 that’s made us question our beliefs in fate, karma, or a higher power - ten natural twenties in a night just shouldn’t happen, let alone happen regularly. Whether you think your dice is the chosen one or your weekly sacrifices to the dice gods have been working, you might want to check your die’s balance before you go off offering your dachshund’s newborn puppies before next week’s big battle with the main villain. *Cough*. This test should work with any die, though the rounder and more spherical the die the more prominent the bias. Besides, twenty-sided dice are the only ones that really matter anyway, at least as far as D&D is concerned. After several months in the open, 5th Edition D&D has finally received its first rules errata. Discussion on the rules clarifications and corrections can be found here. The elemental monk subclass in 5e D&D has been somewhat lackluster for being one of the more cooler and flavorful options available to players, and many haven’t failed to point that fact out. I’m sure that they’ll take the feedback and eventually revise the subclass to be more competitive with the rest of the class options in the book, though who knows how long that’ll take. So some folks over at the Giant In The Playground forums got around to crowd-sourcing their own fix for the unfortunate monks that just wanted to be the next avatar. SpiketailDrake’s version is by far the best, in terms of flavor and scaling as well as being in a neat and appealing PDF, though feel free to check out the rest of the ideas an compilations in the forum post linked above. Just a friendly reminder that you can download the original Tomb of Horrors module by Gary Gygax online. The first installment of Dungeon Digest is out! 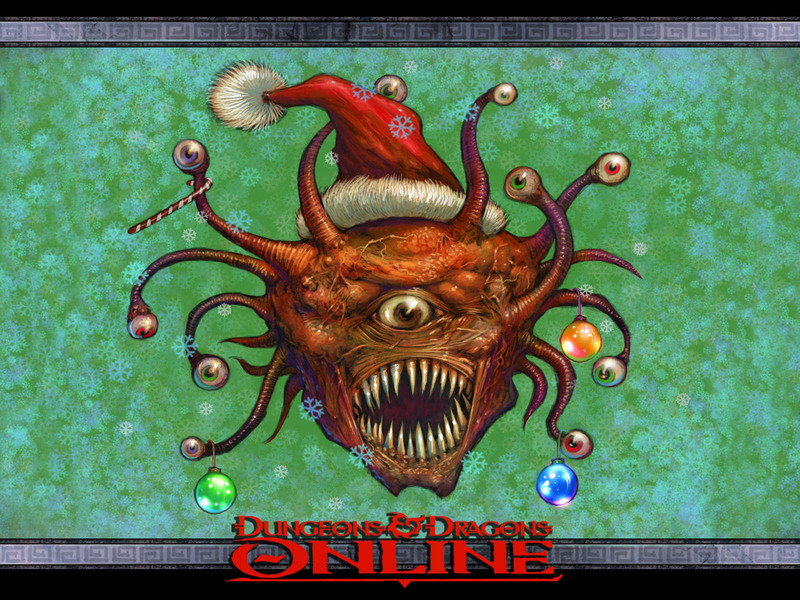 The Dungeon Notice-written Dungeon Digest is an almost regular series of compilations that feature RPG-related news and content from the forums as well as other various places on the internet. Feature articles, advice, contests, and the like are just some of the content that one can expect in the digest. How often I can put them out is still up in the air, though a post weekly or biweekly isn't too far from realistic. If you have any suggestions or submissions, send me a private message or email dungeonnotice@gmail.com. Although the stats on most of these items aren't all that balanced, the ideas behind them are actually quite good and entertaining. The descriptions are specific and evocative, and it can be a good source of inspiration provided you're familiar with tweaking effects and rarity. Among my personal favorites are the Pants of Doom! and the Duck of Ultimate Doom. While D&D remains a personal favorite for a number of reasons, I cannot deny the plethora of fantastic and creative RPGs out there. FATE has always been my go-to generic system while Powered by the Apocalypse is perhaps one of the most innovative rulesets I've seen to date. If you still haven't found one that really captures the kind of game you want to play, then maybe you can try a few of these. If you enjoy the map art in the newer D&D core books and published adventures (4e & up), then you'll find a measure of wonderment in Mike Schley's vibrant and colourful works. Dark lines and a beautifully-chosen colour palette paired with exotic perspectives make every inch appealing to explore. His art appears in numerous releases of the 5th edition of Dungeons and Dragons as well as other games. Implementation of mentions and hashtags. It's like twitter up in 'ere! For all Warhammer 40,000 and related discussion. The lamp flickered to life, barely any oil left, and dimly illuminated the cabin room. "The moon's barely out still?" "Aye. Seems like the snow clouds aren't meaning to go away anytime soon." "Can't sleep as well, can you?" "Not after hearing what I heard and seeing what I seen tonight. And we've the same thinking by my guess." "Best we get some sleep. We have work in the morning, and now that you know what you know I'm sure you'd agree with me when I say it wouldn't be wise to be late." "I'm not for wanting that, don't you doubt." "Don't worry.... We'll get through this alive." "I can't help but think there are far worse fates than death." "Aye, neither can I. But I try not to think about it." "May the gods have mercy on our souls." "I dread that their mercy will not be enough." The oil ran out then and drowned the room in utter darkness. Lists changes made to forum visual style, features, structure, and management/staff. After disappearing without notice to fans and haters alike, the infamous forum dice rolls make a triumphant return. If you've played a game called Portal and stuck around long enough to see the credits, you'd recognize a song he wrote called Still Alive. Jonathan and his songs have been making rounds in the internet garnering acclaim for a fairly long time now. His songs about geek culture are clever and fun, and it takes a certain finesse to write songs about redshirts, programming, zombies, robots and mad scientists, and create them at the caliber he does. So, you could imagine my surprise when a disappointingly large number of my geeky peers(those that would absolutely love his songs) gave me confused looks whenever I talked about Jonathan's songs or mentioned his name. Despite having an already large following and circles where Coulton, Still Alive, Code Monkey and Re: Your Brains have become household names, he remains undiscovered for a large portion of his target demographic, particularly in non-native English-speaking countries where only the most mainstream flows. Go look him up. Seriously. Fans have made countless videos to his songs on Youtube so you won't have any trouble looking for them.